Chloe is very, very, very into anything “princess” lately and loves wearing her “Belle” dress. 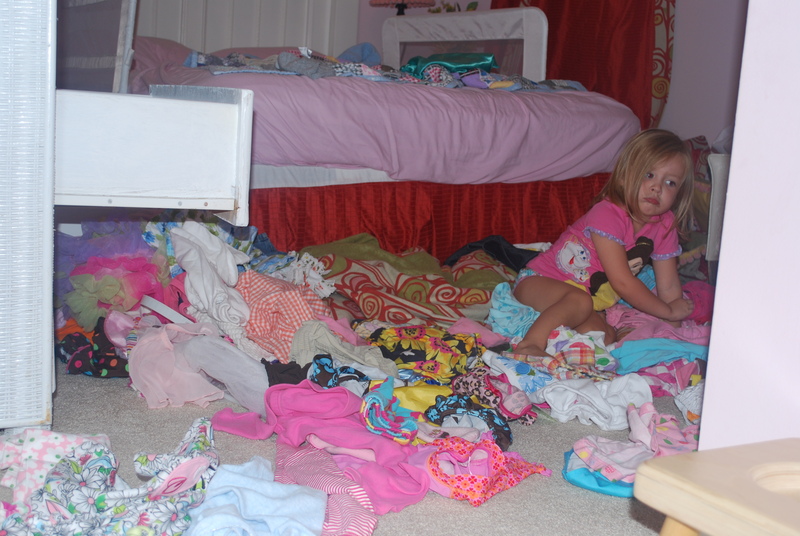 We keep all of her dress-up clothes in one drawer, and she was looking for her “Belle” dress. 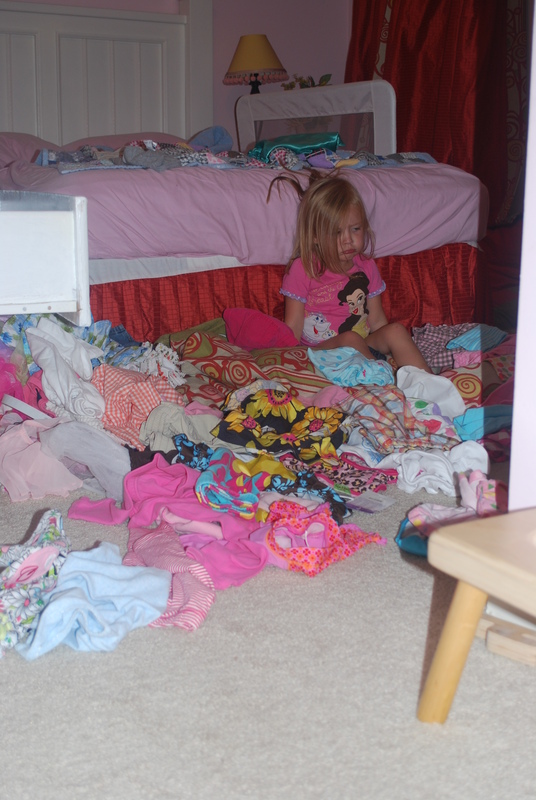 She couldn’t find it, and when I walked into her room, she was sitting in the middle of her floor pouting and had emptied every single drawer into the floor. And I had just recently cleaned out her drawers and folded everything. Grrr. This is great, love the pictures.